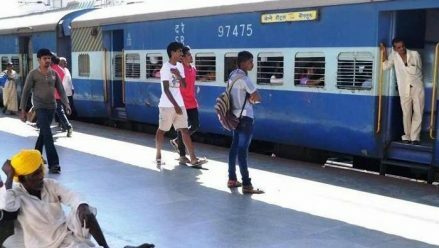 To clear extra rush of passengers expected for the Ugadi festival, the South Western Railway Zone will run a special train from Yeshwantpur to Belagavi on April 5.The train in the return direction will run on April 7. According to an official release, the Yeshwantpur - Belagavi Tatkal Special (Train no. 06581) will depart from Yeshwantpur at 11 pm on Friday (April 5) and reach Belagavi at 11.15 am on Saturday. In the return direction, the Belagavi - Yeshwantpur Tatkal Special (Train no. 06582) will depart from Belagavi at 5.10 pm on Sunday (May 7) and reach Yeshwantpur at 5 am of the following day. The train will stop at Tumakuru, Arsikere, Birur, Davanagere, Harihar, Haveri, Hubballi, Dharwad, Alnavar and Londa in both directions.